We work with both physicians and health systems that are looking to build, expand or advance their genomic service offerings. Send us your information and one of our representatives will be in touch shortly. 5% to 7% of all patients are likely to carry a high-risk genetic variant that they are unaware of? Choose the most appropriate genetic tests for your patient. Incorporate clinically actionable insights from testing into your patient’s care. Our HIPAA-compliant telehealth platform provides you direct access to our genetic experts by way of either peer-to-peer or patient consults. Our clinical team consists of medical geneticists, genetic counselors, primary care MDs and pharmacists. Physician Services Available in 99% of the U.S.
Our clinical team is comprised of more than 40 genetic experts, including medical geneticists, genetic counselors, primary care doctors and pharmacists who can provide medical services in all 50 states via our telehealth platform. Fast and easy online scheduling is usually available next day. We review the patient’s personal and family history and address the patient’s questions. If testing is indicated, we handle all the logistics: test requisition, sending the sample kit to the patient and sample collection. We interpret test results and review with the patient, as well as provide a written summary of our consultation for you and your patient. 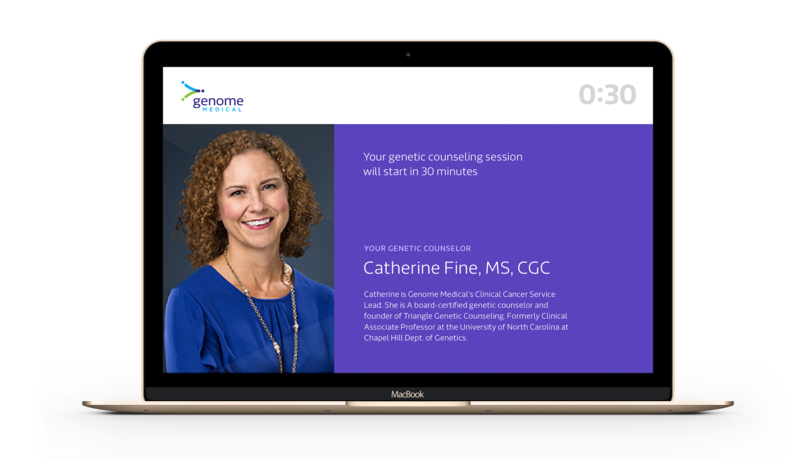 We create a personalized clinical action plan and partner with you to incorporate genetic insights into your patient’s continuing care.